Penn in an award-winning writer of creative non-fiction books as well as a contributor to many anthologies and chapter books. She has been a feature writerand columnist for decades with over five hundred articles on environmental issuesand natural history in newspapers, magazines, government publications, on-line news sources and peer-reviewed journals. She’s written environmental guides and educational handbooks for teachers in British Columbia. For the Love of Nature: Solutions for Biodiversity is the fourth volume in the Centre for Civic Governance’s Going for Green series. Authors Briony Penn and Dr. Robin J. Hood share their stories about leadership in biodiversity. The Kids Book of Canadian Geography, the only trade book of its kind, is an indispensable resource. Writer and illustrator Briony Penn takes a fresh approach by showing how Canada's landscape, life forms, ecosystems and climate yield clues to help youngsters understand the ever-changing story of geography. 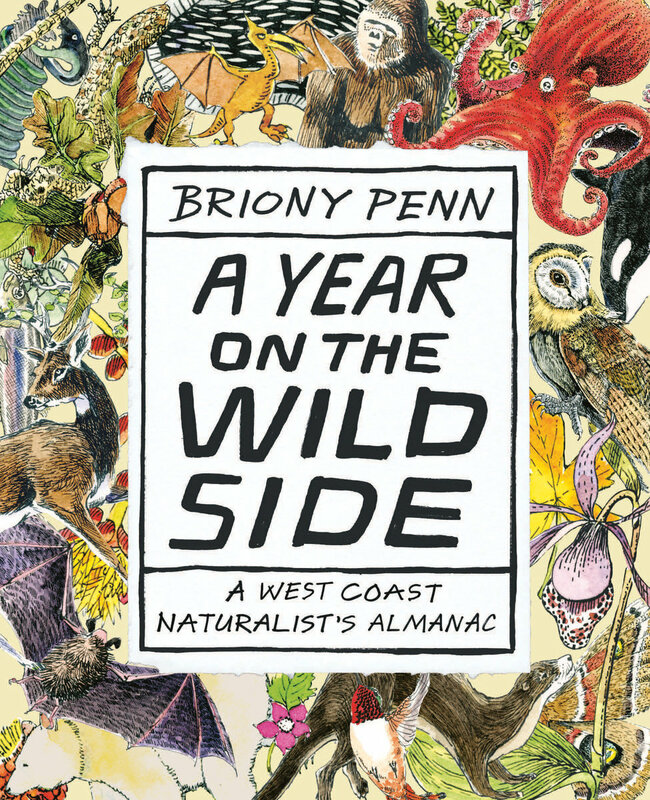 A Year on the Wild Side is a witty "social and natural history comedy" written by Briony Penn, writer, illustrator and lecturer, with a Ph.D. in geography. It's composed of 52 essays arranged in 12 monthly chapters (ex. in August you'll read about which berries are ripening on the west coast). This engaging book reveals the magic and humour of the natural world and reminds us of our place in it. The Real Thing is the first official biography of Ian McTaggart Cowan (1910–2010), the “father of Canadian ecology.” Briony Penn provides an unprecedented and accessible window into the story of this remarkable naturalist. From his formative years roaming the mountains around Vancouver looking for venison to his last years as a major contributor to the voluminous and authoritative Birds of British Columbia, Cowan’s life provides a unique perspective on a century of environmental change—with a critical message for the future.